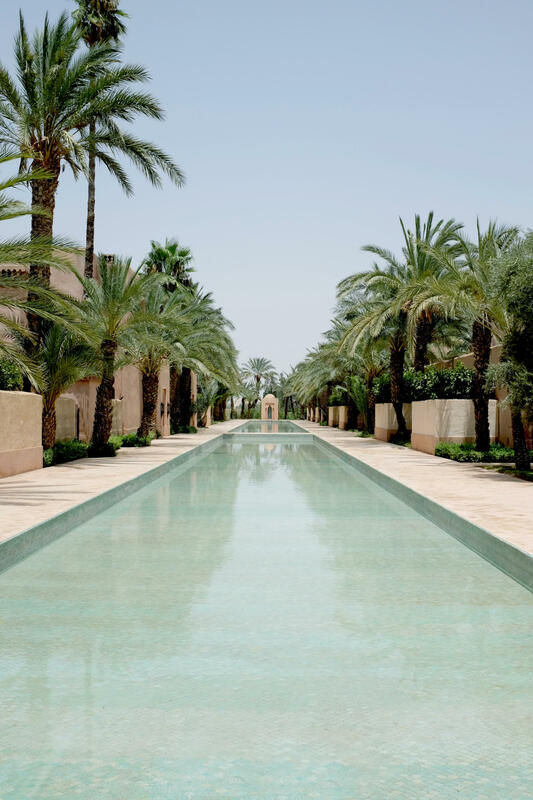 Aman Resorts invited us to stay a few nights at their resort in Marrakech, and as cliched as it sounds, photos just doesn’t do it justice. 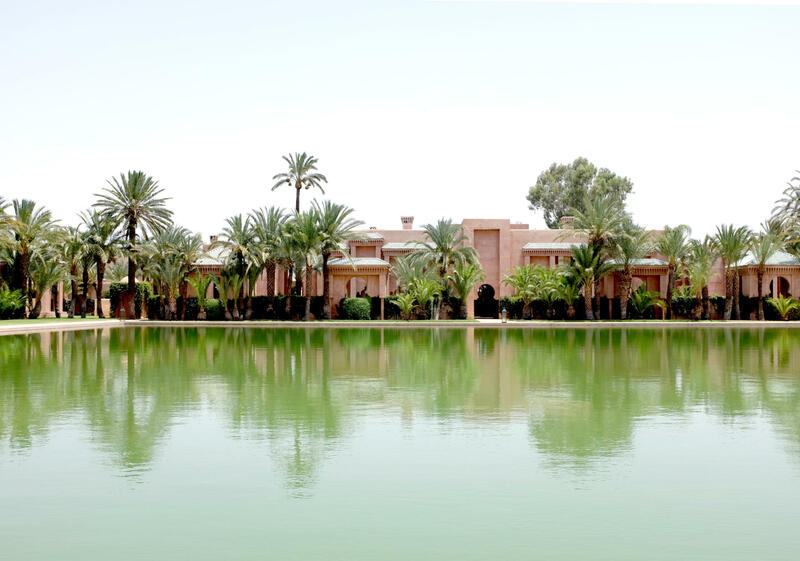 Dotted with date and palm trees, Amanjena is a tranquil oasis just a short drive outside of the bustling walls of the medina. 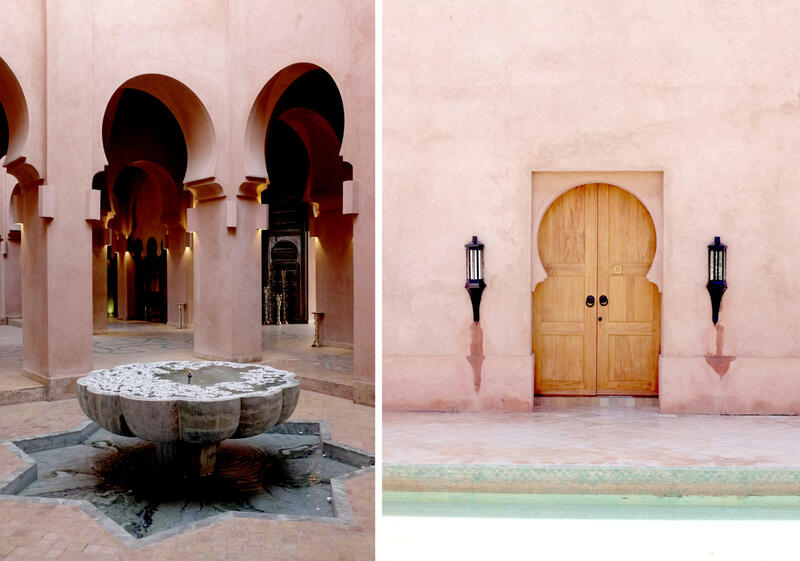 I’ve visited Marrakech a few times now and absolutely love it, but after a long day in the medina, sweaty and disorientated, there was nothing better than taking refuge in our private maison. We stayed at Amanjena out of season, so it was even more peaceful than I imagined it to be. In fact, the whole time we were there I spotted only one other guest, so walking through the stone archways and paddling my feet in the fountains felt pretty surreal. 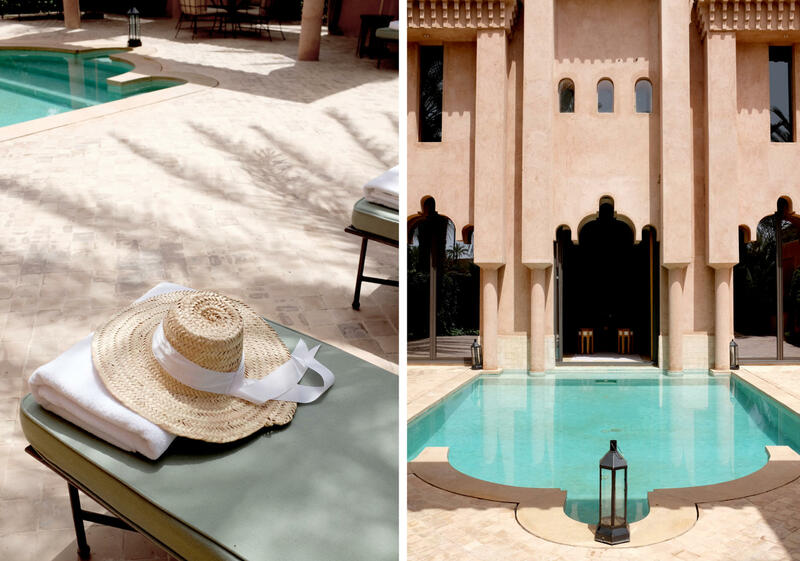 The resort itself is made up of a number of different pavilions and maisons (We stayed in the Maison Jardin, which is set over two levels and features a private swimming pool), and despite the 36 °C, central basin (below), kept it feeling pretty cool. Plus, if we were ever looking a bit sweaty or in need of a pool dip, there was always someone on hand with a cold flannel/ice bucket/suncream to help us out. 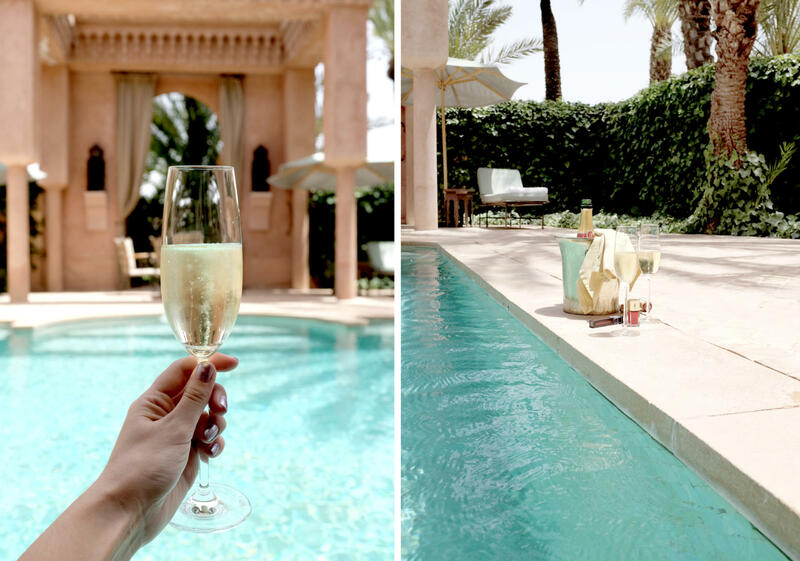 After bring greeted with champagne on ice, fresh dates, rose flavoured pastries I came home feeling particularly underwhelmed at my everyday life. It’s now my life mission to have a house dotted with musk scented indoor fountains scattered with rose petals. If I ever become high maintenanced, I’m blaming Aman.